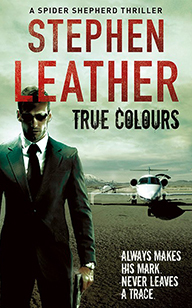 introduced the character of Dan “Spider” Shepherd in his book Hard Landing. 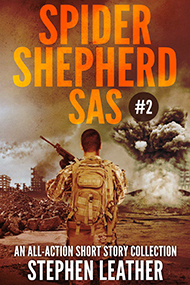 Dan Shepherd was an SAS trooper but he left the SAS after being shot in Afghanistan. He began working as a police officer in London but was soon recruited into an undercover squad that could make better use of his talents. In Hard Landing Dan Shepherd went undercover in a high security prison to get close to a drugs baron who was running his organisation from behind bars. While undercover, Dan Shepherd’s wife Sue was killed in a traffic accident, leaving him as a single parent in charge of his young son, Liam. A constant theme of the Shepherd series is him trying to juggle his work with the demands of being a single parent. 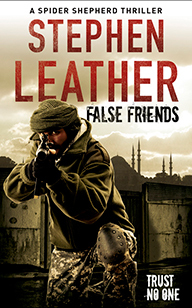 The series continued with Soft Target, Cold Kill, Hot Blood, Dead Men, Live Fire, Rough Justice, Fair Game, False Friends, True Colours, White Lies and Black Ops. Over the course of the series, Shepherd leaves the police to work for the Serious Organised Crime Agency and then moves on to MI5. 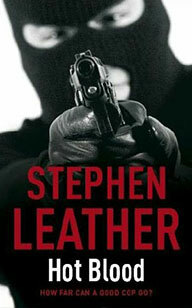 During his career he comes up against armed robbers, drug dealers, people traffickers and terrorists. 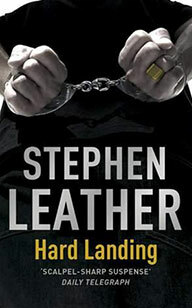 Hard Landing was nominated for the Crime Writers’ Association Ian Fleming Steel Dagger award, and Cold Kill was nominated for Best Novel in 2007 by Thriller Writers. 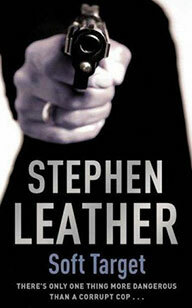 All the recent Spider Shepherd novels have been Top 10 Sunday Times bestsellers. 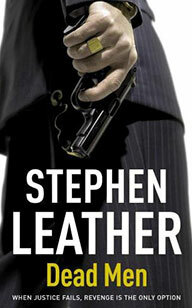 Stephen Leather has also self-published two collections of short stories set during Shepherd’s days in the SAS, available as eBooks and paperbacks. 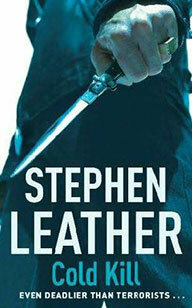 Dan Shepherd is used to putting his life on the line as a detective in an elite undercover squad. But when a powerful drugs baron starts to kill off witnesses to his crimes, Shepherd faces his most dangerous assignment yet – going undercover in a top security prison, where one wrong move will mean certain death. There’s only one thing more dangerous than a corrupt cop, and that’s a corrupt cop with a gun. 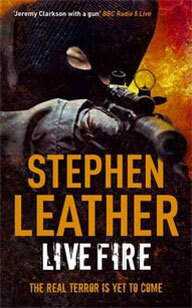 When an elite armed police unit appears to have gone maverick, Dan Shepherd is sent in to the firing line. And as he starts to investigate fellow cops, he has to decide where his loyalty lies. To his colleagues, his masters, or his family. People smuggling, counterfeit currency and attempted murder. It’s all in a day’s work for undercover cop Dan Shepherd. 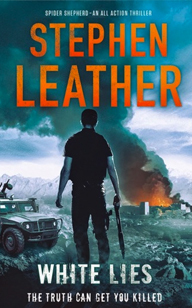 But what starts as a run-of-the-mill investigation quickly turns into a matter of life and death when he uncovers a terrorist cell on a mission of death and destruction. 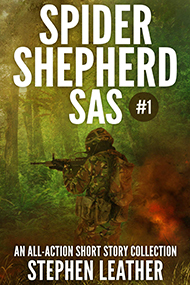 Dan Shepherd is used to putting his life on the line. It goes with the turf when you’re an undercover cop. 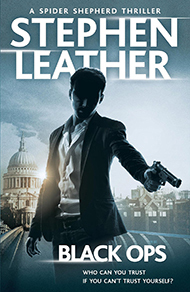 Now working for the Serious Organised Crime Agency, Shepherd is pitting his wits against the toughest criminals in the country. Dan Shepherd has always known that there is no black and white in the war against crime and terrorism. The former SAS trooper turned undercover cop has always operated in the grey areas, putting his life on the line to keep the public safe from harm. Mickey and Mark Moore are Ordinary Decent Criminals, hard men who live by their own code and leaders of a gang that has made millions at the point of a gun. But when Dan Shepherd is sent to infiltrate the tightly-knit team of bank robbers, he discovers that he has more in common with them than he first thought. Villains across London are being beaten, crippled and killed by vigilante cops. 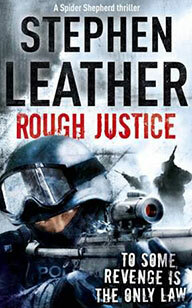 Crime rates are falling, but the powers that be want Dan Shepherd to bring the wave of rough justice to an end. Shepherd has always known that there are grey areas in the fight against crime. Kidnapping is one of the cruellest crimes – lives are put at risk for cold, hard cash. But when Somali pirates seize the crew of a yacht off the coast of Africa, they bite off more than they can chew. One of the hostages has friends in high places and Spider Shepherd is put on the case. Two British students – former Islamic fundamentalists recruited by MI5 – have become targets themselves. Dan ‘Spider’ Shepherd must teach the pair how to survive undercover with al-Qaeda closing in. The Russian oligarchs are the world’s new elite. They treat the world as their plaything, traveling without borders and living lives of unimaginable luxury without fear or restraint. But when an assassin starts killing off some of the world’s richest men, an oligarch with friends in high places seeks the protection of MI5. 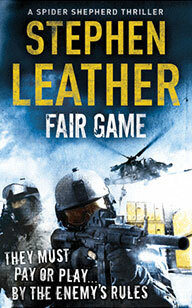 Dan ‘Spider’ Shepherd is used to putting his life on the line – for his friends and for his job with MI5. So when one of his former apprentices is kidnapped in the badlands of Pakistan, Shepherd doesn’t hesitate to join a rescue mission. But when the rescue plan goes horribly wrong, Shepherd ends up in the hands of al-Qaeda terrorists. Spider Shepherd’s MI5 controller, Charlie Button, has gone rogue, using government resources to get revenge on the men who killed her husband. Spider is ordered to betray here, and at the same time it’s down to Spider to stop the assassination of a head of state on British soil.